Our Heavenly Father is so good. 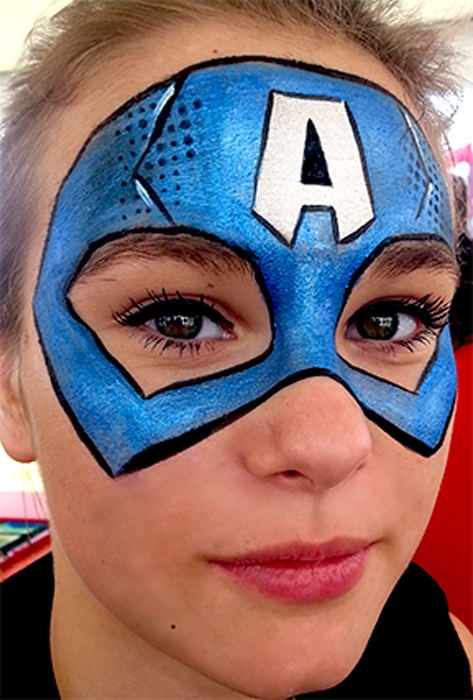 I was out yesterday with 8 wonderful face painters with 70% chance of a thunder storm. It rolled on by thank you Papa. We held our chins high, but none as high as this young lady who wanted to be a super hero. I like it when I get the females wanting to be super heros. We always have been. This entry was posted in Recent Events on August 14, 2016 by Joyce.